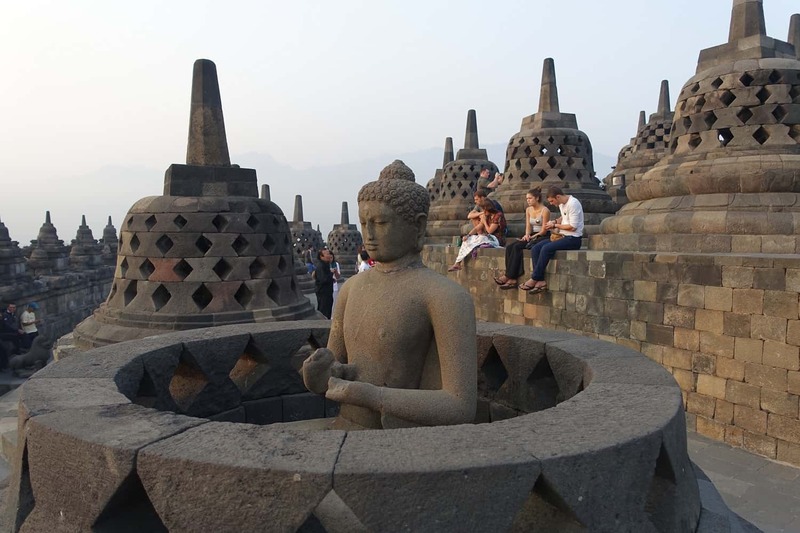 The mandala-shaped temple of Borobudur is the most popular destination in Magelang, Indonesia by far, overshadowing the town’s other travel activities. 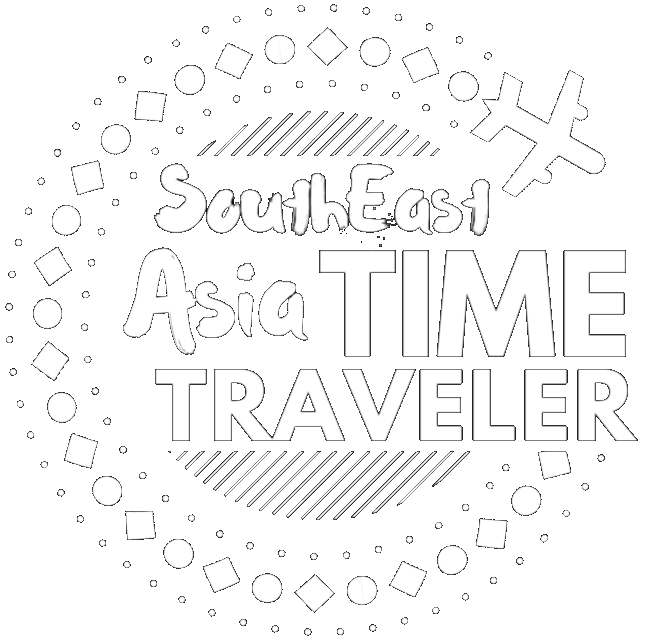 Instead of driving from Yogyakarta to Borobudur and back, why not spend a night or three in one of Magelang’s hotels (this writer spent one night at the Atria Hotel downtown) and use it as a jumping-off point to one of the adventures listed below? Visit a Chicken Temple in the Jungle. Locals call it the Gereja Ayam (“chicken church”, location on Google Maps), but it doesn’t seem like it was built for religious purposes. Its builder, Daniel Alamsjah, told the Jakarta Globe that he’d intended it as a religious counseling center, and no, it’s not a chicken, but a dove. Built on Rhema Hill overlooking Magelang’s overgrown forests, the Gereja Ayam was under construction throughout the 1990s on a one-hectare parcel owned by Alamsjah. He envisioned people of all religions converging on his building to pray and seek counsel. The upper floors were reserved for religious services, while cubicles in the lower floors were to provide rooms for meditation, youth outreach, and counseling. Alamsjah ran out of money in 2000; construction on his giant dove-shaped building ground to a halt. 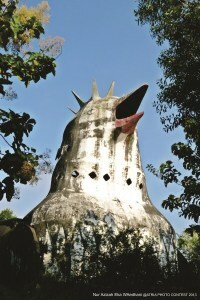 Today, visitors make pilgrimages to the Gereja Ayam – not for counseling, but to gape at the absurd sight of a concrete chicken rising out of the Magelang countryside. Go Whitewater Rafting Down Elo River. 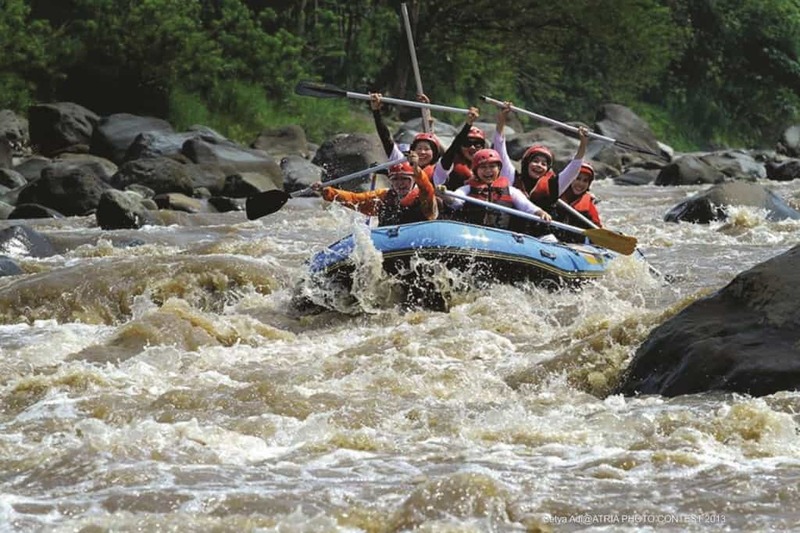 “Whitewater rafting” isn’t the first thing on one’s mind after a trip to Borobudur, but given the rivers that cleave the Magelang landscape, trying out one of the local rapids is a no-brainer. A 7.7 mile stretch of the Elo River between the Blondo Bridge and the Mendut temple offers a beginner-friendly rafting adventure through Magelang’s rice paddies and forests. CitraElo (citraelo.com) has the monopoly on whitewater rafting services around Elo River. From their basecamp near Mendut temple, CitraElo takes travelers through a three-hour ride down Category II-III rapids. Even non-swimmers can take on this ride with confidence – the company uses international-standard safety gear, and guests remain in the charge of experienced river guides at all times. Conquer Two Mountains in One Trail. 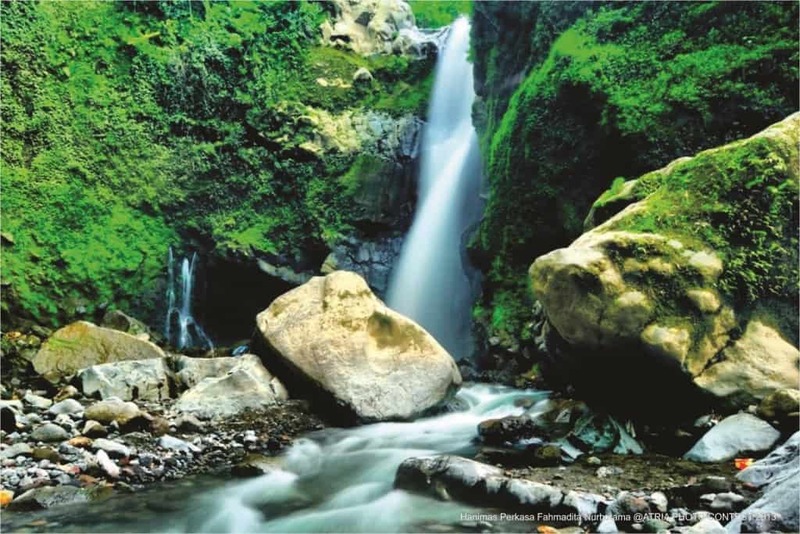 Trekkers call this “2M” – a single hiking trip that summits both Mounts Merbabu and Merapi in Magelang. The Selo route begins at the Selo village base camp, ascending up Merbabu’s southern slope alongside grassland and pine thickets until you reach the Kenteng Songo summit at 3,145masl. Descend back to Selo, then you can proceed up Mount Merapi via the “new Selo” route: a challenging trail that crosses farmland, mountain forests, and boulder fields. Eventually you’ll reach the Pasar Bubrah stop – a satisfactory end to the trip at 2,500masl, unless you dare the loose rocks underfoot up to the crater. The view from the summit blows you away, as you survey the cloud-covered world below you with the summit of Mount Lawu breaching the clouds from below.